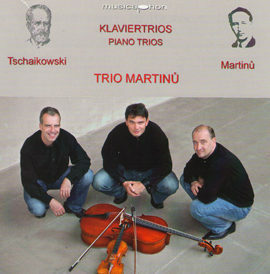 Trio Martinů was formed at the Prague Conservatoire in 1990. 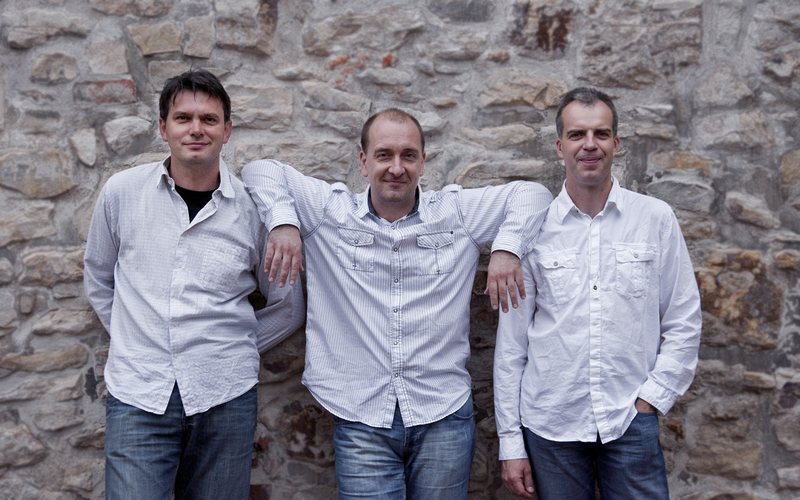 Its current line-up Jaroslav Matějka – cello, Pavel Šafařík – violin, Petr Jiříkovský – piano have remained unchanged since 1993. Under Professor Antonín Kohout (a member of the Smetana Quartet) at the Academy of Performing Arts in Prague, the ensemble developed and embarked on a trajectory paved with success and awards. These have included being semi-finalists in the international competition at Trapani, Italy; third price in the international contest of chamber ensembles at Heerlen, The Netherlands in 1992, which was followed by winning this competition three years later, in 1995. 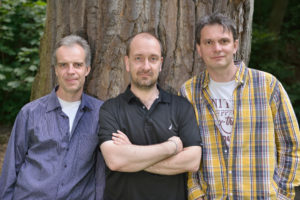 Trio Martinů has taken part in several series of master classes: at Villecroze, France, conducted by Prague Trio (1992 and 1994), and at the Orlando Festival in Kerkade, the Netherlands, under Sandor Devich and Menahem Pressler, a member of the Beaux Arts Trio (1995 and 1997). 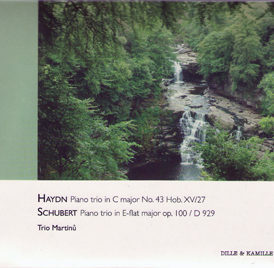 From 1996, the ensemble studied for two years at the Vienna Hochschule für Musik under Professor Michael Schnitzler, a member of the Haydn Trio. In 1995 the ensemble received the annual Award of the Czech Chamber Music Society attached to the Czech Philharmonic Orchestra. 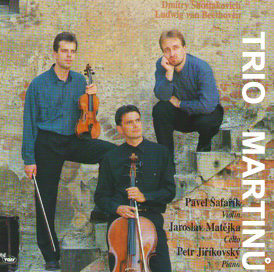 Since then Trio Martinu has toured Japan (2005), Korea (2015), Spain, the Netherlands, England and other countries in Europe and has appeared at major international festivals and venues, such as Musashi Hall in Tokyo, Seoul Arts Center, Grand Hall in Daegu (2015), the Rudolfinum in Prague (2015), or the Amsterdam’s Concertgebouw (July 2016). 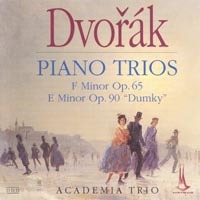 The Trio’s discography encompasses 6 CDs recorded under the labels of the Czech, German and Belgian recording companies. 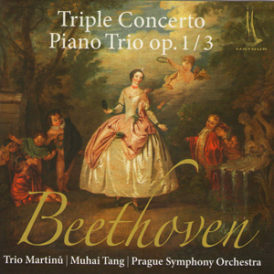 In June 2014 they released a live CD with Beethoven’s Triple Concerto which was performed with the Prague Symphony Orchestra under the Chinese conductor Muhai Tang; and in March 2017 it was their last studio recording of the Complete Bohuslav Martinu piano trios for the German label Musicaphon. 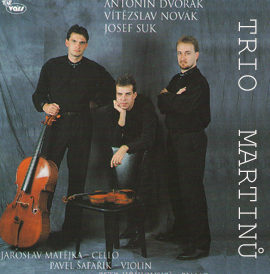 Within the last five years, Trio Martinu was invited to perform at all the most famous Czech festivals, such as: The Prague Spring Festival (1999, 2014), the Prague Proms (2013), Bohulav Martinu Festival in Policka (May 2014), the International Festival of Chamber Music in Piest’any, Slovakia (June 2014), the International Festival in Cesky Krumlov (August 2014), Janacek May Festival (2016), or Antonin Dvorak’s Festival in Olomouc (2016). 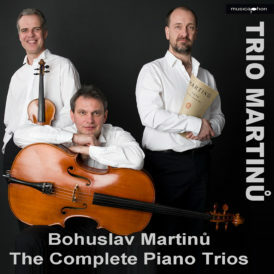 In October 2017 Trio Martinu performed in Toronto – Canada for the first time, and in July 2018 they were invited to the Portland Summer Festival, where they will have a week of residency and give a recital introducing the Czech chamber pieces, and then they will perform the Beethoven’s Triple Concerto again with the Portland Festival Orchestra. YOU CAN DOWNLOAD OUR CV FOR USE IN “PDF” FORMAT ON “PRESS” PAGE.